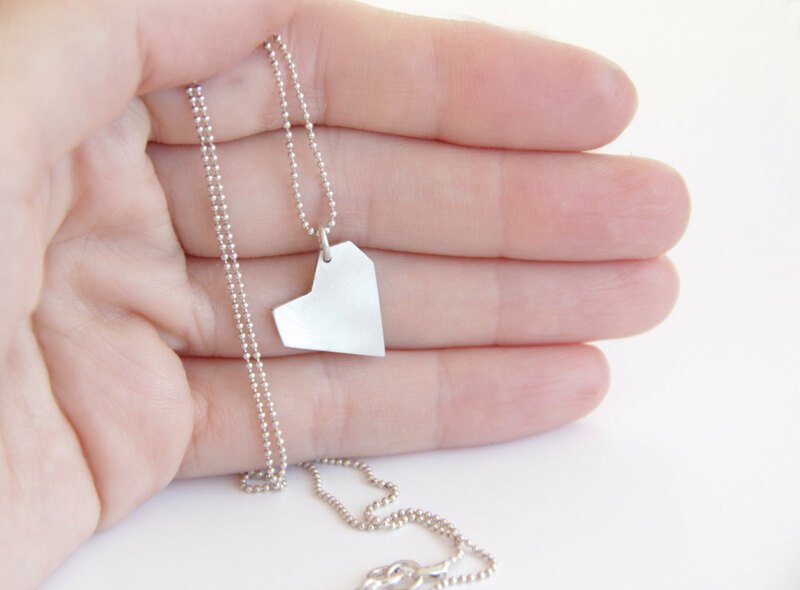 - The heart is hand cut from sterling silver sheet and measures 1.5 cm (0.59 inch) wide by 1.9 cm (0.75 inch) long. - The necklace measures 45 cm (17.72 inches) long. 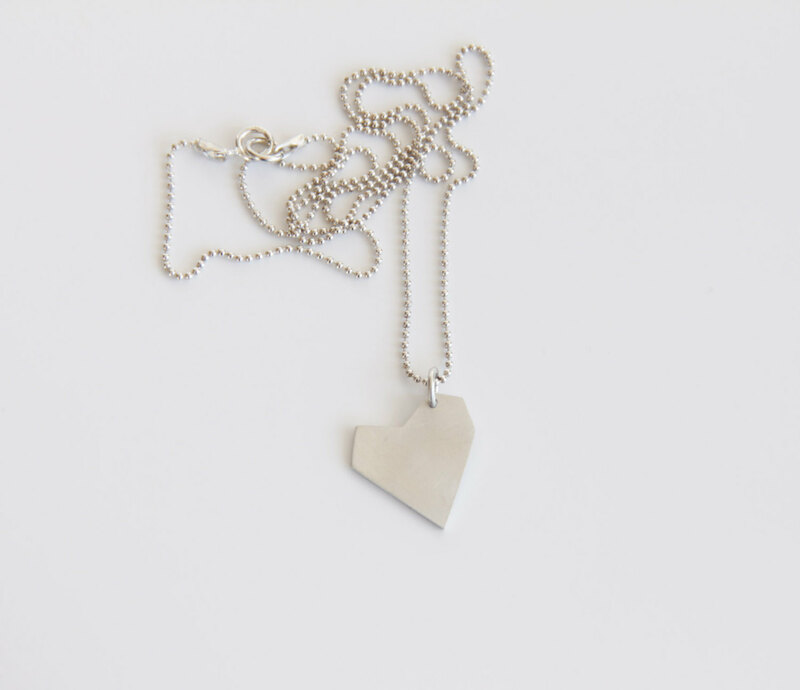 Hangs from a delicate, fine quality sterling silver ball chain and fastens with a sterling silver clasp and jump ring.